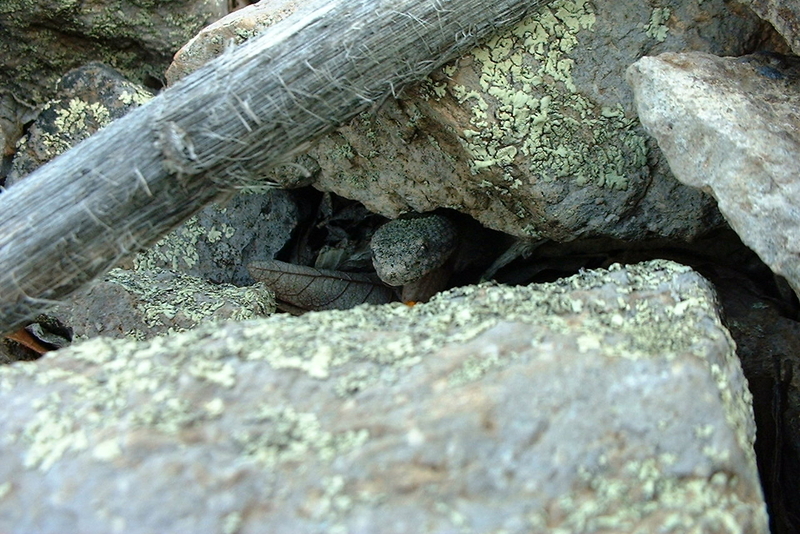 When my friend checked on this particular mother-to-be recently, he noticed a whipsnake hunting nearby. 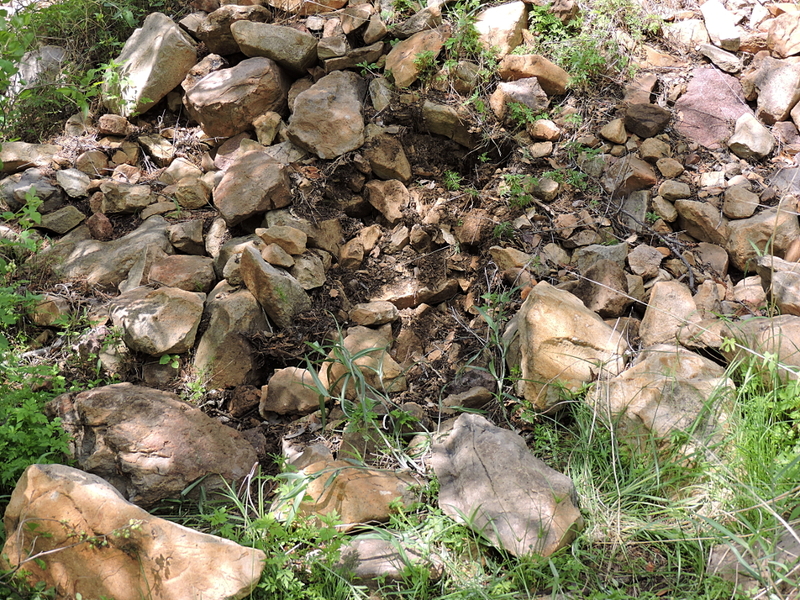 Whipsnakes are known predators of rattlesnakes, so he returned the following day to find out if she had evaded the predator. He found her at 8am, still pregnant and secure under her nest rock. He left her to check in with some other snakes and returned three hours later. 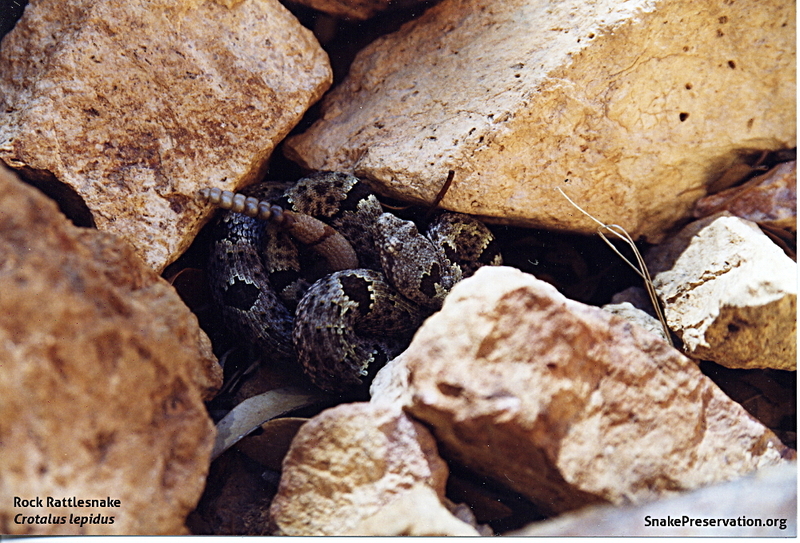 It’s easy to get taken with snakes, especially beauties like rock rattlesnakes. But just because you are taken with them, doesn’t mean they should be taken by you. 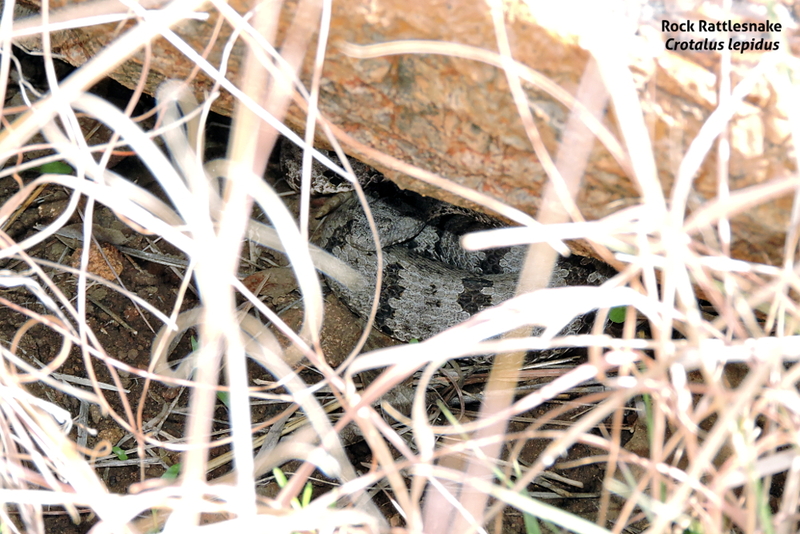 The effort required to find a site where you can observe wild snakes is well worth what you’ll be rewarded with: behaviors you’d never see snakes do in captivity. 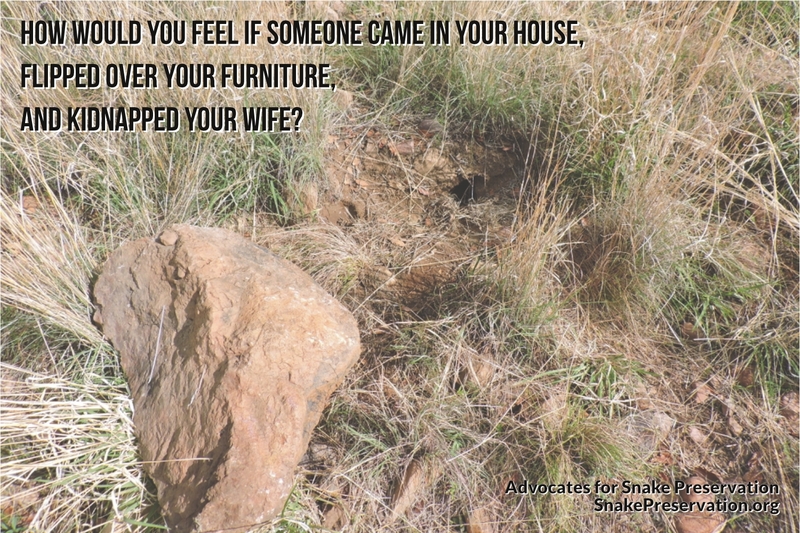 Enjoy snakes in their home, don’t take them home with you. Can’t find a rescue? Buy captive bred. Don’t collect. Don’t buy wild-caught animals.